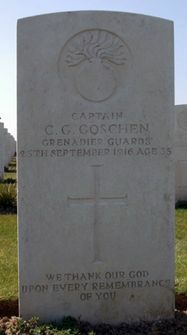 He was KIA at Gird Trench. Augustus was born 17/12/1895 London, England. Eldest of five children to Henry James Bondfield Stephens and Adriana Johanna Bosschart Stephens. Attended The City of London School until he came to Melbourne, Australia in 1912. He then attended The Melbourne High School for boys. He graduated, completing the Senior examination in 1913, gaining honours in Languages. He spoke seven Western European languages fluently. 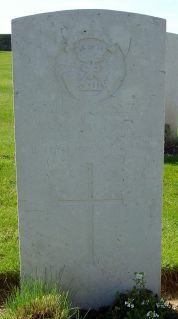 At the time of his enlistment A.F.B. 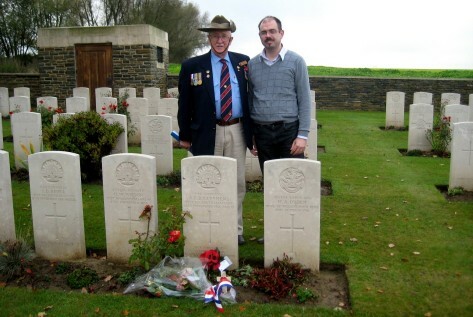 Stephens was a trainee School Teacher also working as a market gardener to assist in his education fees. 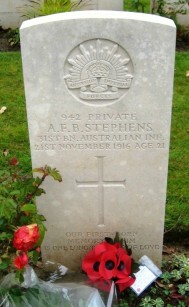 His father was a Minister of the Church of England of Christ Church, St Kilda, Melbourne. 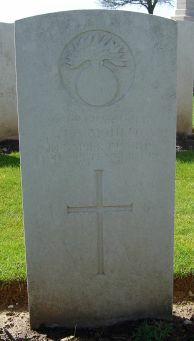 He was a Battalion runner, and whilst on duty carrying a dispatch he was mortally wounded by a shell to the head outside a small church or school at Lesboeufs where he was buried by the side of the Lesboeufs to Gueudecourt road. 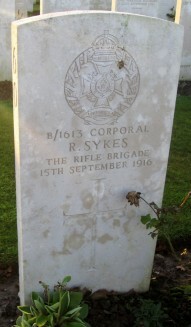 He was reburied in this cemetery. “He displayed coolness and courage in carrying messages under fire daily, inspiring others working with him”. This mention in dispatches was never recognised by the ‘Powers to be’ in London’s Administrative Headquarters. The son of James and Emily Bretherton of Windsor, Victoria, Australia. 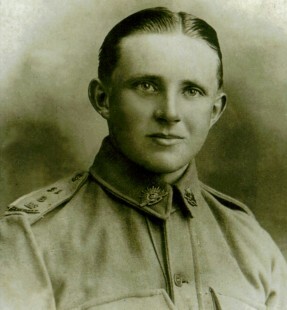 He was an intelligence officer and graduate of the Royal Military College, Duntroon, Canberra, ACT. Australia. 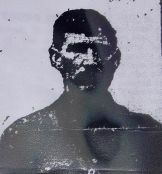 He was killed by a sniper near Gueudecourt. 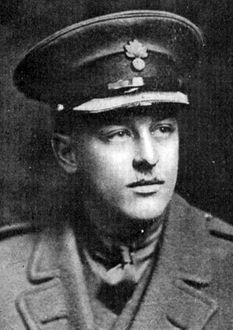 Son of Henry Goschen of Addington, Surrey, was born in 1881 and educated at Eton and Balliol College, Oxford, where he graduated in 1903. He was called to the Bar in 1905, but relinquished his work there after a few years to enter the Stock Exchange, of which he became a Member in the Spring of 1910. 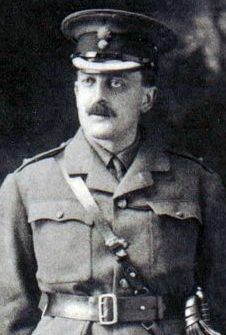 He joined the firm of Cohen, Laming, Goschen and co. in that year and remained with them until the outbreak of war, when he obtained a commission in the Grenadier Guards and went to the Front shortly before Christmas, 1914. 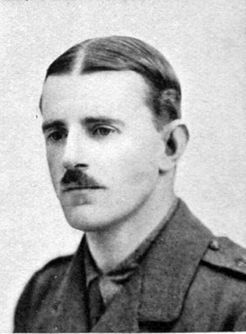 During the months that followed he took part in the fighting at Festubert and Neuve Chapelle and in some of the most arduous operations in the Ypres Salient and elsewhere. 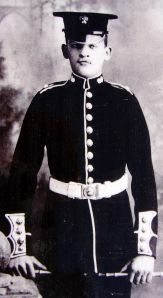 Soon after he was promoted to a captaincy in the 4th Bn. On the second occasion he was so anxious to get back to the Front that he refused the sick leave that was offered to him. 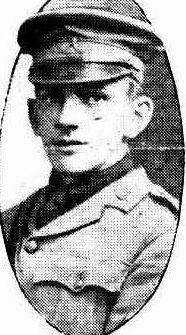 He rejoined his regiment on 24/09/1916 and was killed on the following day while leading his men in a very severe action during the battle of the Somme. 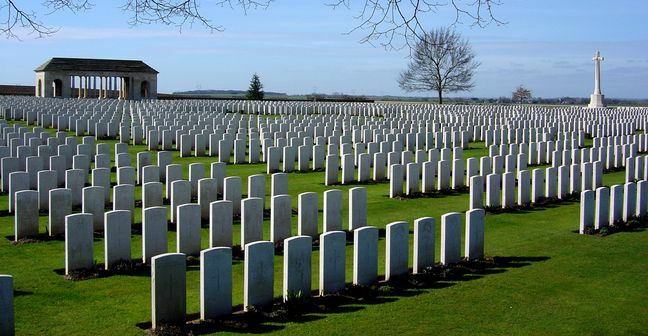 "Chris's loss to the regiment is indeed a great one. 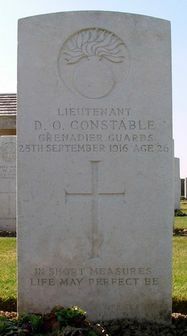 He was loved by his brother officers and esteemed and respected by his men. He has done extremely well and I have rarely seen a man who took hold of the hearts of all whith whom he was associated like he did. His place amongst us will not easily be filled." "He was one of the best and truest of English gentlemen, was so straight and an example to the younger ones." He was the son of Sir Archibald and the Honourable Lady Orr-Ewing.